While this year's parliamentary and presidential elections have been dominating political life in Indonesia in recent months, the issue of climate change took a low priority on the competing parties' manifestos. Meanwhile, the government's much-criticised regulation on Reducing Emissions from Deforestation and Forest Degradation (REDD) has been issued. Twenty projects are now underway in the country. A dramatic rise in the price of nickel is prompting the development of a major new nickel mine in Sulawesi. What will be the impacts for local people and their environment? 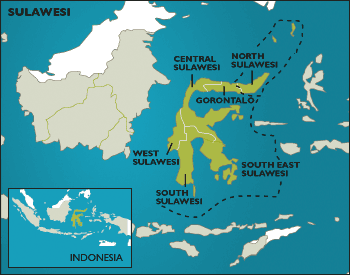 The Indonesian government and Anglo-Australian mining multinational Rio Tinto are negotiating the terms of a contract to develop the La Sampala nickel deposit on the borders of Southeast and Central Sulawesi. Spokesman for Rio Tinto in Indonesia, Anang R Noor, said the company plans to invest US$1 billion in the project.